On Good Friday we embarked on a pretty epic adventure. 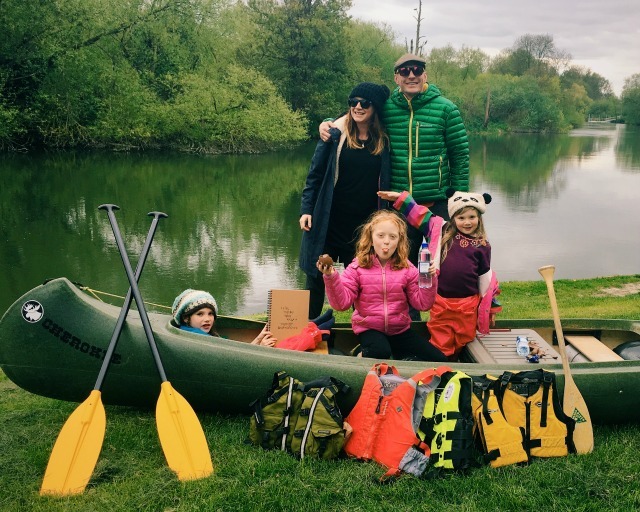 We packed up our camping gear, hired a canoe from the brilliant Whitewater the Canoe Centre in Shepperton, loaded everything into/on top of Tom's T5, and drove an hour up the road to the very pretty village of Sonning ready to hit the Thames and to do a spot of wild camping on an uninhabited island in the middle of it for a night. Everyone we spoke to thought we were mad "Three kids and a canoe?" "What do you mean there won't be any toilets?!" "Why aren't you packing a tent!" but the girls and I couldn't wait for twenty four hours out in the elements. The fact I'd never been in a canoe, and the teeny tiny detail that I can't actually swim, didn't put me off in the slightest. We hired an open (or Canadian) canoe from Whitewater which is a bit like a big, pointy rowing boat. * It had plenty of room for all our gear (although we did pack relatively light considering) and was made for four adults so took us two plus three littlies no problem. We were expecting it to take two trips to get all our stuff across to the island but we managed it in one and there was plenty of room to spare too. The kids sat in the middle of the canoe and enjoyed the ride, while Tom and I sat at either end and did the paddling. 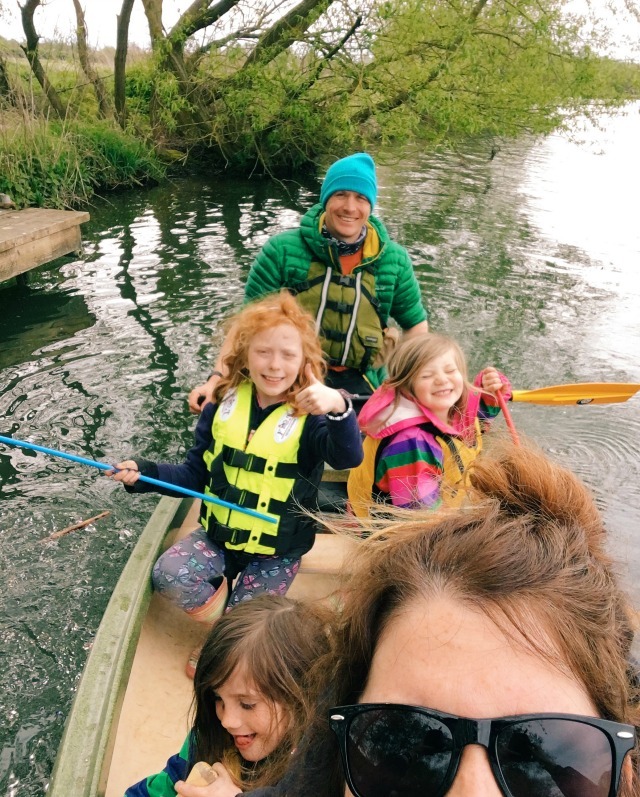 My first experience of canoeing might have been hard work, but it was a great one - and the girls loved it too. I felt a lot safer in a big open boat than I imagine I'd have felt in a smaller kayak. 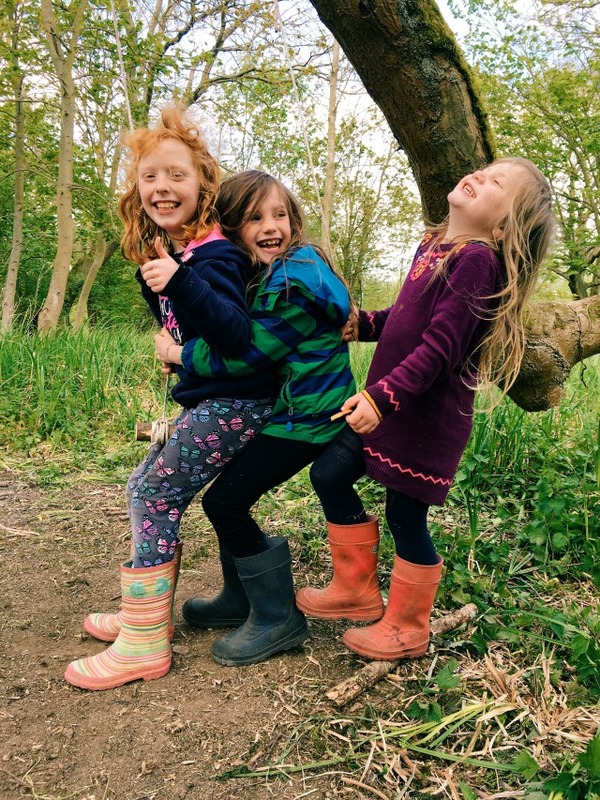 We'd never visited this stretch of the Thames before and I had no idea just how beautiful it is, or how many little islands there are to explore - it really is a great part of the country to take kids on an adventure, even if it's just for a day. 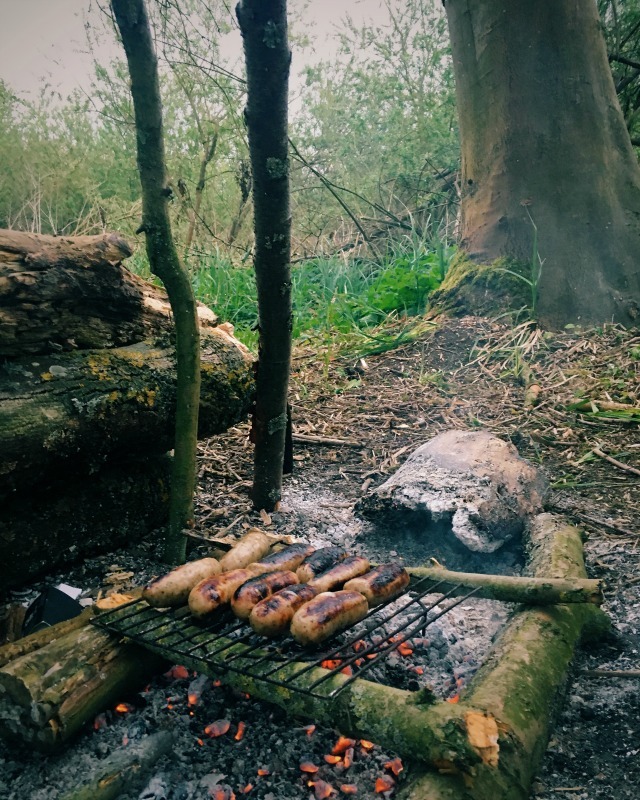 We set up camp on an island about half an hours paddle from Sonning. We pitched a little two man tent for the kids so that they'd be lovely and toasty whatever the weather, but Tom and I stayed under a poncho which was lighter and easier to pack. 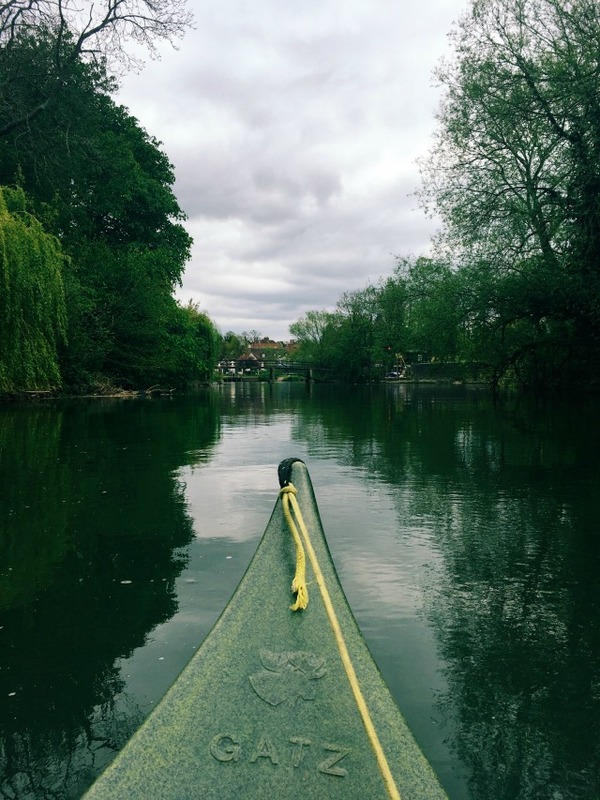 If you're interested in hiring an open canoe and are based in or near Surrey, definitely get in touch with Whitewater The Canoe Centre - they were brilliant from start to finish, can offer all the advice you need and can also recommend some really good routes along the Thames. 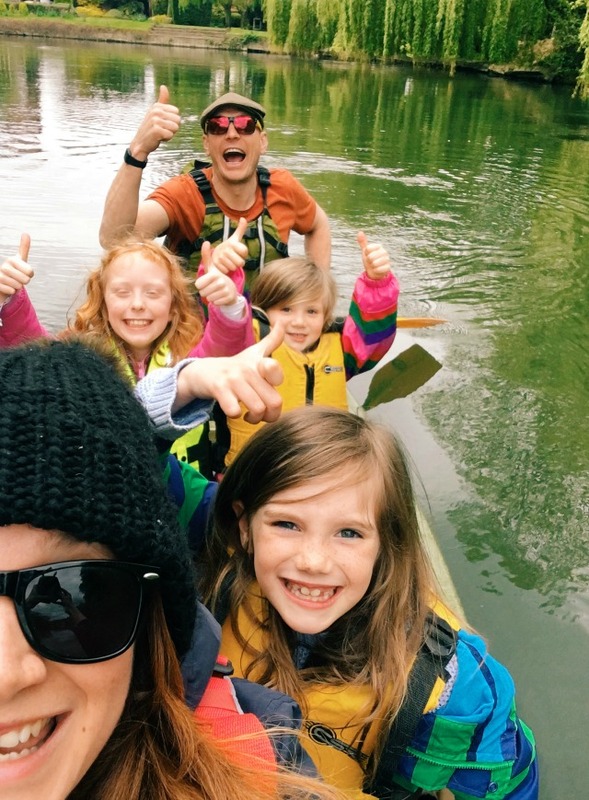 It costs £45 per day to hire the open canoe which I think is a great price for a whole day of fun for a family of four or five. Half days and smaller kayaks are cheaper still - look here for a full list of options. 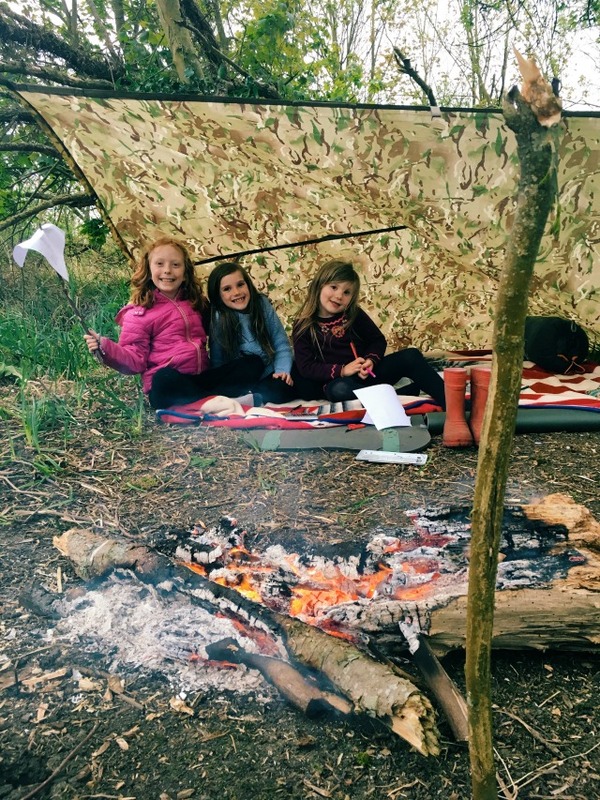 When it comes to wild camping, there are rules, so make sure you do your homework before you set off. Respect plantlife and wildlife, take all your rubbish home with you and make sure you aren't trespassing on privately owned land! This looks like such an awesome adventure. The memories the girls will have with be so fun! Blimey woman!!! That's an adventure and a half!? 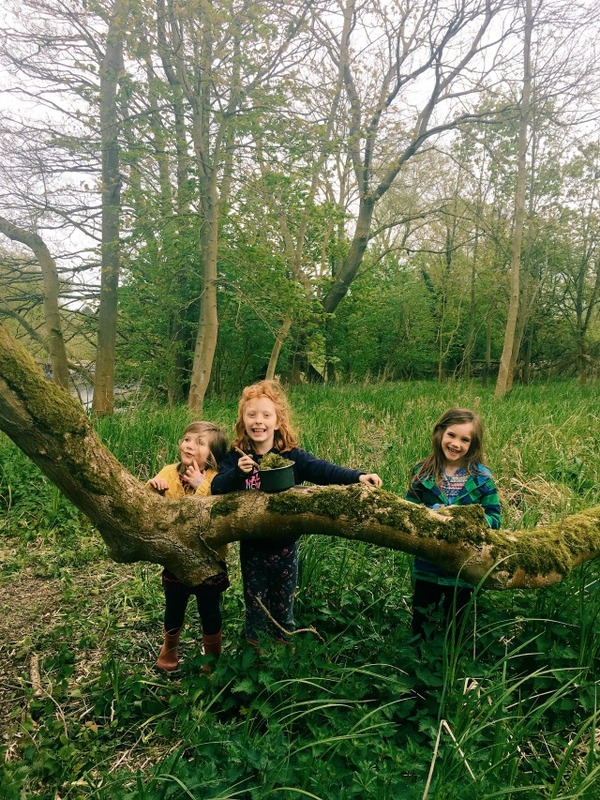 So many memories made for the kids, it's brilliant! And, for to say, bit brave/crazy/insane sleeping under a non tent!! Argh! Bugs!